We have great shipping rates to ALL COUNTRIES! If the package is excessively over-sized or overweight, additional shipping charges may apply to locations and countries outside the USA continental 48 states, including Alaska, Hawaii, Puerto Rico, Canada, and others. To return parts please Click Here. We need your order number, name, email address and the part number you wish to return along with a detailed explanation of why you need to return it. If you do not have your order number, please indicate when your order was purchased and the full name ordered with. Do not take the part numbers off the box. All RMA numbers are e-mailed in 2-3 business days with a return shipping address and complete shipping instructions. All returns must be postage paid; return shipping charges are subject to terms & conditions. All returns must be packaged properly; we are not responsible for damaged returns that occur as a result of improper packing. Within 60 days of receiving your item from Go-Parts.com you may return any parts. No returns will be accepted after 60 days. All parts must be in their original condition, and cannot be disassembled or installed. We are not responsible for installation errors. We are not responsible for any labor expenses, towing expenses, or rental car expenses that occur as the result of the installation of any wrong or defective parts. Electrical parts are not returnable if plugged in or unsealed for any reason. Refunds for returns normally take a few days to process and credit from the date we receive your return at the warehouse. Once the return has been approved and processed, the refund will be credited to the account you used to buy the merchandise. You will receive a "credit approved" e-mail the day you are credited. Please be aware that your bank may take 4-7 business days to post the credit to your account or credit card. Shipping & handling charges are not refunded if a part is returned due to customer error. If after 30 days, you have still not received credit please e-mail the returns department rma@Go-Parts.com, for the fastest response. You may return products within 60 days of receipt of item for a refund or replacement. All returns are subject to terms & conditions. Upon receiving your order, inspect all packages thoroughly for missing, damaged, or incorrect parts. Our warehouses put forth every effort to prevent shipping damage. However, it does occur occasionally. If you receive a damaged part, do NOT accept the package; have the shipper immediately return to sender. If the shipper has left a damaged package in your absence, immediately contact the shipper and have the package returned to sender. We are not responsible for missing, damaged, or incorrect parts after 60 days of receipt of item, regardless of the party at fault. We must be contacted immediately if any of the above occurs. We are also not responsible for lost or stolen packages and all claims for such must be processed through the shipping company. The following Terms & Conditions are applicable to ALL Go-Parts.com gift cards. When purchasing Go-Parts.com gift cards, the purchaser and user agree to adhere to all conditions of the purchase. 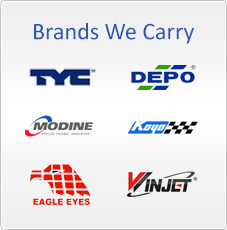 Go-Parts.com Gift Cards are issued by Parts Dynasty Corporation. The Gift Card Balance shown is the balance BEFORE any purchases have been made. Deductions from the Gift Card balance are made at CHECK-OUT on Go-Parts.com, and the balance displayed after completion of the transaction reflects the remaining balance on the Gift Card. 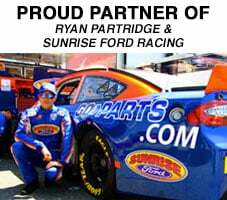 Gift Cards may only be redeemed toward the purchase of eligible goods and services provided by Go-Parts.com. Limitations of Use Gift Cards cannot be reloaded, resold, transferred for value or redeemed for cash, except to the extent required by law. No portion of your Go-Parts.com card balance may be transferred to another Go-Parts.com user or account. Gift Card balances CANNOT be used to purchase more Gift Cards. Gift Cards issued by Go-Parts.com as PROMOTIONAL or CONTEST prizes have NO CASH VALUE outside of store credit. The risk of loss and title for Gift Cards pass to the purchaser upon our electronic transmission of the Gift Card to the purchaser or designated recipient, or our delivery to the carrier, whichever is applicable. We are not responsible if any Gift Card is lost, stolen, or destroyed, or if your Go-Parts.com Gift Card is used without your permission. Go-Parts reserves the right to void Gift Cards, close customer accounts, and bill alternative forms of payment if we suspect that a Gift Card is obtained, used, or applied to a Go-Parts.com order or account (or applied to a purchase) fraudulently, unlawfully, or otherwise in violation of these terms and conditions. 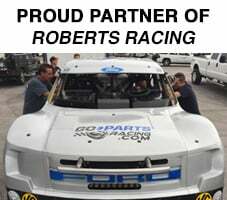 ONLY Gift Cards purchased via Go-Parts.com are VALID. Go-Parts.com does not, at this point in time, issue cards via any other platform. If this is encountered, notify Go-Parts.com IMMEDIATELY. WE MAKE NO WARRANTIES, EXPRESS OR IMPLIED, WITH RESPECT TO GIFT CARDS OR YOUR GO-PARTS.COM ACCOUNT, INCLUDING WITHOUT LIMITATION, ANY EXPRESS OR IMPLIED WARRANTY OF MERCHANTABILITY OR FITNESS FOR A PARTICULAR PURPOSE. IN THE EVENT A GIFT CARD IS NON-FUNCTIONAL, YOUR SOLE REMEDY, AND OUR SOLE LIABILITY, WILL BE THE REPLACEMENT OF THAT GIFT CARD. CERTAIN STATE LAWS DO NOT ALLOW LIMITATIONS ON IMPLIED WARRANTIES OR THE EXCLUSION OR LIMITATION OF CERTAIN DAMAGES. IF THESE LAWS APPLY TO YOU, SOME OR ALL OF THE ABOVE DISCLAIMERS, EXCLUSIONS, OR LIMITATIONS MAY NOT APPLY TO YOU, AND YOU MAY HAVE ADDITIONAL RIGHTS. All Go-Parts.com user terms apply. No fees apply to Gift Cards. When you purchase, receive, or apply a Go-Parts.com Gift Card to a purchase, you agree that the laws of the State of Georgia, without regard to principles of conflict of laws, will govern these terms and conditions and any dispute that may arise between you and Parts Dynasty Corporation and its affiliates related to your use of a Gift Card. We reserve the right to change these terms and conditions at our discretion. All terms and conditions are applicable to the extent permitted by law. If any of these terms and conditions are deemed invalid, void, or for any reason unenforceable, that unenforceable term will be deemed severable and will not affect the validity and enforceability of any remaining terms and conditions. 7. Go-Parts.com Gift Card Expiration. Go-Parts.com Gift Cards DO NOT expire. How come when I click on my tracking number it says "Not Found?" FedEx / USPS may take a day or two to update the shipping status on their site. You should try checking your tracking number again the next day. I no longer need the part I bought from Go-Part because I sold my car. Can I return it? If you are within the allowable return period, you can return parts for any reason. If you are past the return period for your order, you cannot return a part for any reason other than warranty exchange and manufacturer defects, even if you no longer need the part. You can exchange it for another item of that same type. You must notify go-parts.com of the damage within 5 days of receiving the package. At this point, we'll arrange and pay for return shipping of the damaged part, and send you a new one. Can I pay with check, money order, or cash? While we offer a variety of electronic payment methods, we do not accept check, money order, or cash. Can I have this item shipped to a friend or family member? Certainly, although you should note that if your shipping address does not match your billing address on your credit card, we may contact you for verification. This is to prevent fraud. We ship your items out via US Postal Service Priority Mail. Your parts may take anywhere from 1 - 4 business days to get to you after they are shipped out. Yes we do, via US Postal Service Priority Mail International. Apart from being reliable, this also helps you avoid high brokerage fees that may be charged by FedEx and UPS. Certainly! This is done through the US Postal Service. We are sorry to hear that you need to return your item. Please fill out the form below and a customer service representative will get back to you soon. If you are having any trouble with this, please email us at cs@go-parts.com and we would be happy to assist you. Thank you, and have a wonderful day! Please submit a photo of the part you received, and the manufacturer labels on the box that it came in. If you have any trouble with this, they can also be submitted to cs@go-parts.com. We can probably get you the part you’re looking for at a great price - we just don’t have everything listed on our website yet. Please tell us what you’re looking for on the form below, and we’ll contact you in the next few hours with price and availability. Customers are asked to make sure to review the full policies below before contacting go-parts.com. When submitting an order with Go-Part, you will be required to accept these terms and policies. Go-Parts.com does not enter into verbal contracts under any circumstance. All contracts in regards to but not limited to: warranties, sales, returns, delivery, etc. must be entered into in writing so that there is a written date stamped verifiable paper trail. The employees of Go-Parts.com are required to put everything in writing. Failure by customers to obtain any contract or agreement in writing will make such contracts null and void. Prices are subject to change without notice. Once an order is placed, the price is locked in. If the customer can find a lower price, customer needs to request a price match (with proof of the lower price) before an item is ordered. In the case of seeing a lower price tag of a part elsewhere, please be mindful of the warranty, support, terms, and shipping rates of that company. Many companies will offer a low price but will give no warranty, no phone and chat support, harsh returns policies, and surprise last-minute shipping rates. Go-Parts.com is not responsible for buyer's error. For all orders that are placed over the phone, it is entirely the customer's responsibility to ensure that the part they ordered is in fact the correct part. Also, we are not responsible for any additional shipping charges associated with customer entering or providing a wrong or incomplete shipping address. We may require copies of the credit card being used (front & back) and a valid photo ID of the cardholder in situations involving orders placed with a foreign-based bank credit card, orders where the shipping address differs from the billing address, and/or with orders shipping out of the U.S. These must be submitted via fax, or through email. A copy of ID and credit card may also be required if your order is flagged as a fraud risk by our payment system. Failure to provide ID & card verification upon request will result in cancellation of the order. Go-Parts.com does not accept packages that are sent COD (Cash on Deliver). A $30.00 fee will be assessed on all returned checks and credit card charge-backs lost by customer. For all orders, we always ship to the shipping address you specify. If the courier returns the package to us due to your act of providing an insufficient or incorrect address, the order will be refunded, excluding freight fees for both ways. If the customer does not request to have the packaged delivered with the need for signature, customer agrees to be entirely liable for non-receipt of package. Go-Parts.com assumes no responsibility for items shipped without a customer’s request to signature requirement upon receipt of package. Go-Parts.com does not claim responsibility for the time it takes the shipping company to deliver the buyer's order. Delays are beyond Go-Parts.com’s control once the order has been given to the shipper. Go-Parts.com does not ship on Saturday, Sunday, or holidays. All delivery times are quoted in business days. The day of shipping is not considered a transit day. Go-Parts.com does not guarantee the time of day the item will be delivered. On international orders, items may have an additional handling fee based on size and or weight. If the order is subject to this type of freight fee, the customer will be emailed for approval prior to shipment of your order. Failure to approve the surcharge will result in cancellation of the order. Freight will only be refunded if Go-Parts.com ships a damaged or incorrect item. This includes air freight, dimensional freight, customs fees, and return shipping charges. The shipping cutoff time for shipping is 4 P.M. PST. The day of shipping is not considered a transit day. The customer must notify both Go-Parts.com and the delivery company of the damage within 5 days of receiving the package. Go-Parts.com will not accept damage freight notifications after this time period. All damage notifications must be in writing by email or via fax. Installation of a damaged part voids any and all warranties expressed or implied. If the customer purchases a replacement elsewhere rather than allowing Go-Parts.com the opportunity to ship a replacement, the customer will not receive a refund of any freight charges. The customer is responsible for inspecting the part upon arrival. If you have received an incorrect part, you must notify us within 5 business days of receiving the incorrect part so we can replace it. No exceptions. If Go-Parts.com ships the incorrect part, Go-Parts.com reserves the right to send a replacement part to rectify the situation. Customer may not install an incorrect part. Doing so will null and void any and all warranties express or implied. You will not be able to return an incorrect item for an exchange if it has been installed. Customer may also not return a part that is found to be incorrect if the customer has painted or altered the part in any way. If there is a problem with an installed part that falls under warranty, customers should contact the returns department via email at rma@Go-Parts.com within 5 days of noticing the problem. Customers may not continue to use the part in need of warranty. If customer decides to continue using the part, the warranty will be null and void, no exceptions. Warranty terms are for replacement of the part only. If a replacement is not available to ship within 15 business days of warranty notification, Go-Parts.com offers the customer an option to cancel. If the part under warranty is no longer available in the same style, customer will be provided with the newer style. Warranty items are shipped by the same means as the original order at the customer’s shipping expense. If the customer wishes to upgrade the shipping on a warranty item to a faster method, customers are responsible for the additional freight charges. Once the item is shipped, no changes can be made to the shipping address that the customer provided us. All returns must have an RMA (Return Merchandise Authorization) or they will not be accepted. An RMA can be obtained by clicking <a href="http://www.go-part.com/rma_form.php">here</a>. The RMA number must be written on the space that is provided with the customer’s original shipping box. No returns are allowed after 30 days of receiving products. Refunds for returns are issued once we receive the part. Items purchased that are either not needed, or no longer needed are not returnable for a refund after the initial allowed return period. This includes but is not limited to: gifts, parts for vehicles that have been sold or damaged, and parts ordered in error. Warranty terms are for exchange only. Items returned without an RMA number will be held in warehouse, and no credit will be given. If the buyer wants the part back at this point, buyer will have to arrange return shipping. All authorized returns must be returned via traceable means (e.g. Fed-Ex, UPS, USPS w/tracking in place) to ensure their safe return. Go-Parts.com recommends you insure your return. The customer is responsible for the safe return of the product. If a return arrives damaged, not in original packaging, or missing items, Go-Parts.com will hold the product and all packing materials for 30 days for the freight companies’ inspection. It is the customer’s responsibility as the shipper to file a claim with the freight company. It is Go-Parts.com’s responsibility as the receiver to notify the freight company of items that arrive damaged. The customer will not receive credit or an exchange if the returned item is damaged in transit back to us. All returns must be in the same condition as when received. They must be in the original packaging, exactly the way we sent it. DO NOT SCRIBBLE OUT OR TARNISH THE PART NUMBERS. Installed items can only be returned for a warranty exchange in the case of manufacturer defect. Go-Parts.com will charge the customer for replacement of damaged, altered, missing, written-on, or taped-on contents or cartons. If that box is tarnished with added writing or markings, a re-boxing fee will be imposed. For radiators, condensers, and fans, the fee is ten dollars. For every other part, the fee is five dollars. Go-Parts.com has the right to either refuse the return or contact the customer to work towards a resolution. If shipping back lamps that were covered with a protective plastic sheet, make sure to cover them before shipping them back. Lens scratches are considered damage and will void any attempted return. Go-Parts offers discount coupons for students and faculty of specific universities/colleges. If a customer wishes to use a discount code, Go-Parts reserves the right to request that the customer provides a valid school identification card that verifies the customers' current association with the school, either as a student or faculty member. If the customer cannot provide the needed verification, the customer can choose to either cancel the order, or pay the original price of the part. For some orders, it may take anywhere from 24 to 48 hours for the payment to settle. This is due to the fact that Go-Parts's system must verify that the customer's billing information matches the customer's shipping information. For orders in which the total amount owed is $100.00 or more, If the customer places an order and the billing address does not match the shipping address, then the order may be shipped with signature confirmation. In this case, the customer authorizes an additional charge for signature confirmation. Parts that are used for racing purposes. go-parts.com attempts to be as accurate as possible. However, go-parts.com does not warrant that product descriptions, images, pricing, or other contents of this site are accurate, complete, reliable, current, or error-free. If a product offered by on the go-parts.com website is not as described, the customer's sole remedy is to return it; unused, uninstalled, and in its original condition within 30 days of purchase. Installation of an incorrect item voids any and all warranties or return options. Warranties are non transferable. 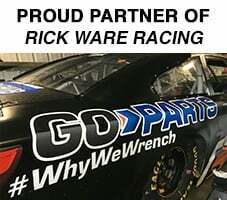 go-parts.com will replace any product listed with a lifetime warranty, which is returned prepaid with an RMA, when it has been determined by go-parts.com at its sole discretion, that the product has failed due to defective materials or workmanship. This warranty does not cover failure due to improper installation, maintenance, misuse, abuse, unauthorized repairs, modifications, alteration, freight charges, cost of removal, cost of replacement, losses due to downtime of the vehicle, normal wear and tear, and/or any subsequent or consequential damages. This warranty is in lieu of all other warranties and/or representations expressed or implied, including, without limitations, warranties of merchantability and fitness for purpose and all other liabilities, including special or consequential damages, in connection with the sale or use of any product from go-parts.com. Any warranties implied by law are limited in duration to the duration of this warranty except in those states where prohibited by law.